AMES, Iowa — In a season that was defined by runs, No. 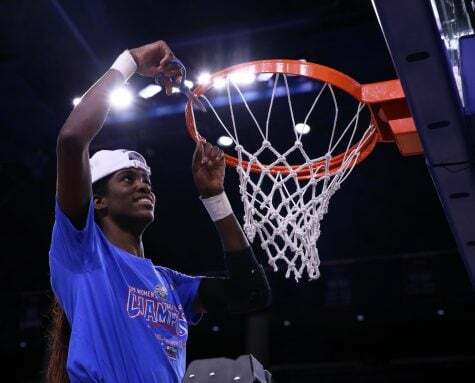 24/21 DePaul (26-8, 14-4 Big East) couldn’t muster up another run to save its season against Missouri State in the first round of the NCAA Tournament as the Blue Demons fell to the Lady Bears 89-78. 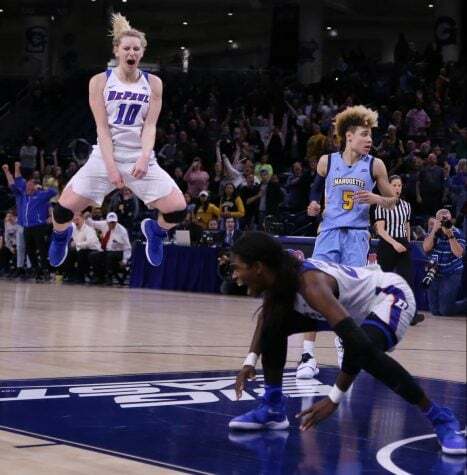 DePaul entered the game playing its best basketball of the season, winning 11 straight games including a Big East Tournament title over Marquette and making a 17th consecutive NCAA Tournament appearance. 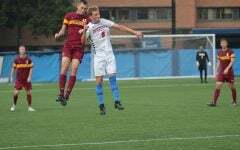 The magic dissipated for DePaul, however, with the Blue Demons struggling against a long and confident Missouri State team. After upsetting another top-25 team just a couple weeks ago in the Missouri Valley Conference Tournament championship game with a win Drake, Missouri State felt confident they could pull off another upset against DePaul. 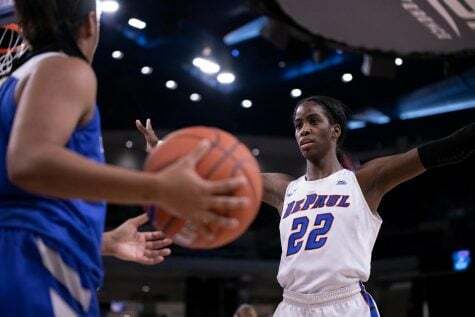 Coming into the game, the Lady Bears hoped to hang with DePaul for the full 30 minutes, knowing DePaul has the ability to close strong in the final quarter. 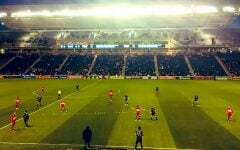 The gameplan of keeping it close worked perfectly after the first 10 minutes. 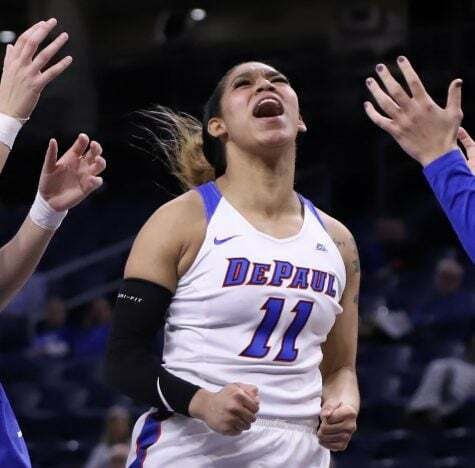 DePaul got off to a strong start in the first quarter, taking a 16-14 lead inside the first seven minutes of the game while shooting 7-of-11 from the field and 2-of-3 from the 3-point line. Missouri State kept responding, however, by knocking down tough shots to keep it close as both teams entered the second quarter tied at 23. The second quarter proved to be where both teams went in completely different directions. 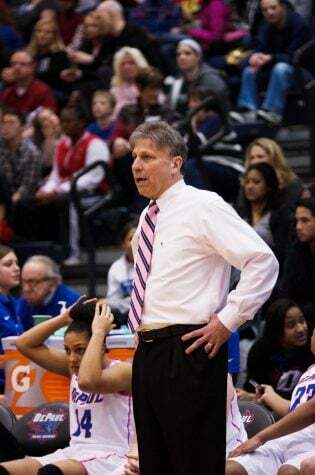 For DePaul, they picked a bad time to have one of their worst quarters of the season. The Blue Demons shot just 5-of-18 from the field, good for 27.8 percent, and 0-for-9 from the 3-point line. With less than two minutes left in the quarter, Missouri State built up a 40-29 lead and went into the break up 42-33. Junior forward Chante Stonewall, who scored 28 points in the Big East Tournament championship game and won Most Outstanding player in the tournament, led DePaul in scoring the first 20 minutes with 13 points on 6-of-11 shooting and 1-of-4 from the 3-point line. 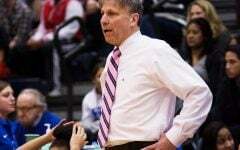 “Missouri State was getting the ball out in transition and finding the open players really got our defense scrambling,” Stonewall said on why DePaul struggled in the second quarter. 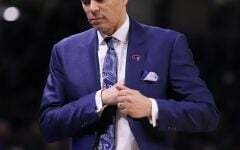 The Blue Demons, known for their high-tempo offense and 3-point shooting, couldn’t find any rhythm offensively after the first quarter with Missouri State forcing DePaul into tough shots and going into a 2-3 zone to keep the Blue Demons out of the paint. With shots not falling for DePaul, their defense couldn’t keep them in this game with Missouri State having a perfect blend of scoring inside and outside the paint, accumulating 28 points inside the paint and 33 points from the 3-point line. 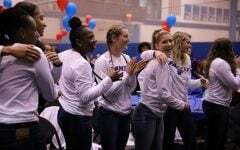 The Lady Bears’, not known for their 3-point shooting this season only averaging four makes per game, caught fire from behind the arc on Saturday going 11-for-20 from the 3-point line. “Missouri State is averaging four 3-pointers a game and they got five in the first half — at least,” Bruno said. “You can’t give up 15 points from 3-point land to a team that averages four a game, and we didn’t rebound from the get go. 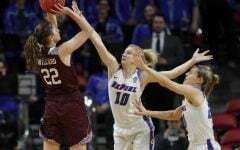 Rebounding also swung heavily in Missouri State’s advantage, the Lady Bears’ outrebounded DePaul 42-31 in the game including 31-20 on the defensive glass. 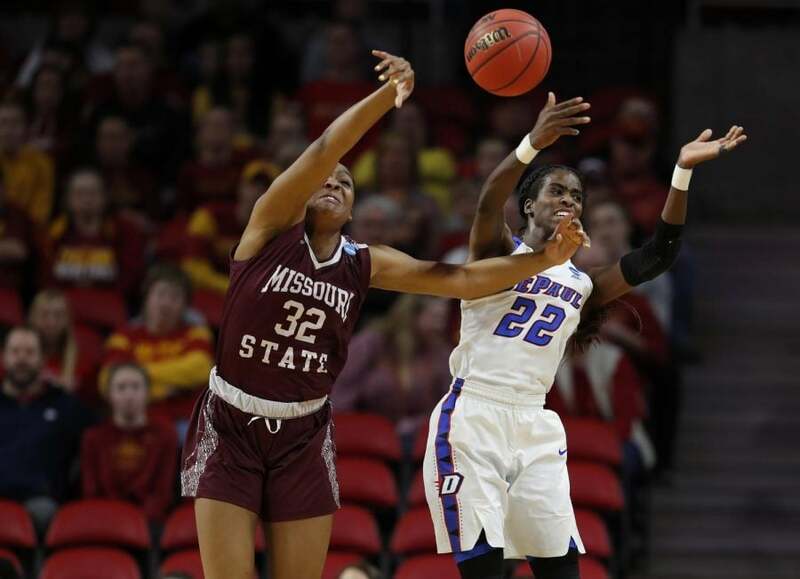 Rebounding has been a strength for Missouri State all season after they finished first in offensive rebounding in conference play and outrebounded their opponents by nearly nine rebounds a game. 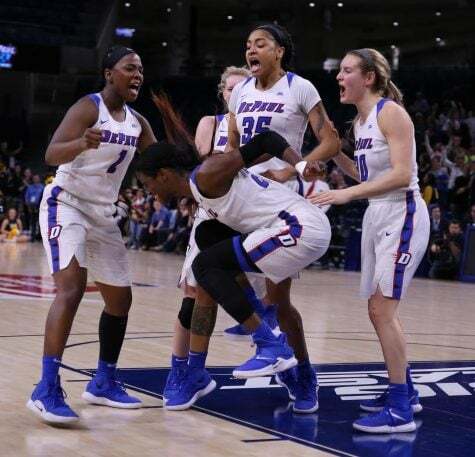 DePaul tried mounting a comeback in the second half and got within seven points with one minute and 23 seconds left in the third quarter, but that was the closet the Blue Demons would get to Missouri State. 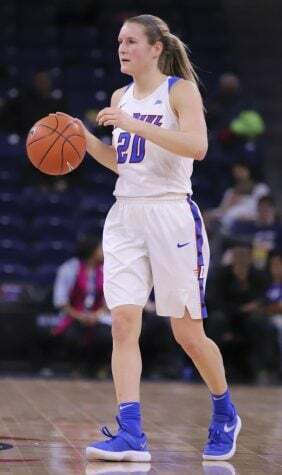 In the fourth quarter, DePaul couldn’t get stops on the defensive end to give them any hope on the offensive end, with both teams trading buckets throughout most of the final 10 minutes. 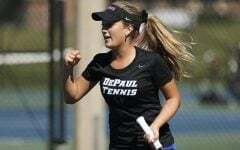 The afternoon proved to be a struggled for every player on DePaul, including their four seniors who played in their last game in a Blue Demon uniform. 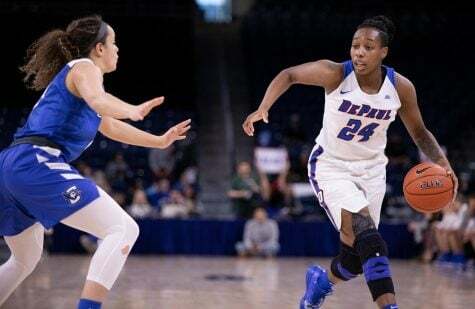 Guard Ashton Millender scored 17 points in the game, but 12 of her points came in the fourth quarter when the Blue Demons didn’t have much of a chance of coming back. The other three seniors, Mart’e Grays, Rebekah Dahlman and Tanita Allen combined for 16 points on 6-for-16 shooting and 1-for-6 from the 3-point line. The loss puts an end to DePaul’s 11 game winning streak and ends its five-game winning streak in the first round of the NCAA Tournament. 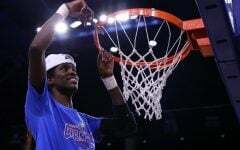 The Blue Demons are now 13-11 all time in the opening game of the tournament and drop to 5-1 all time against Missouri State.